Fox and Chernin Entertainment's "Hidden Figures" dominated the domestic box office, topping charts for the second straight weekend after earning $26 million. The film's message of empowerment and triumph over prejudice was amplified by the Martin Luther King Jr. holiday weekend. 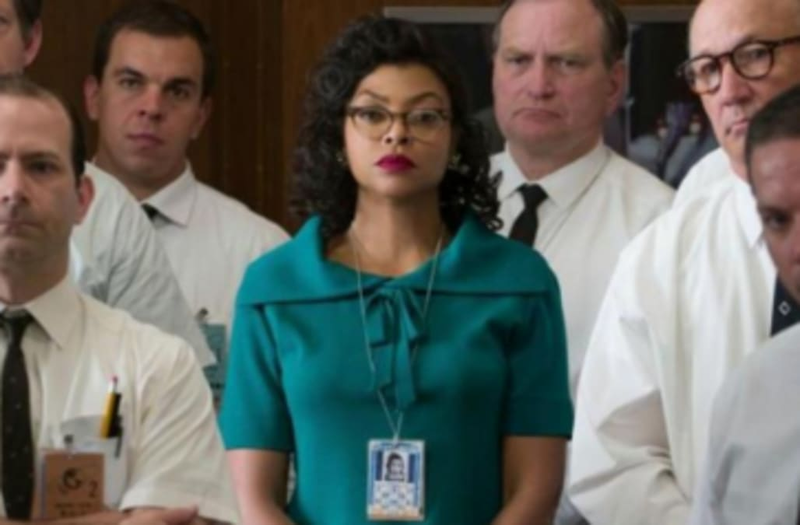 "Hidden Figures" is a latecomer to the awards season race, but the film, which stars Taraji P. Henson and Octavia Spencer as African-American scientists and mathematicians in the early days of the space program, ranks as one of the most successful dramas of 2016. So far, it has earned $60.4 million. That commercial success could translate into Oscar attention when Academy Award nominations are announced next week. It will likely face fierce competition from "La La Land," a critically beloved movie musical with Emma Stone and Ryan Gosling. Fresh off its sweep of the Golden Globe awards, "La La Land" sang and danced its way to $17.5 million over the holiday period, good enough for a third place finish. That brings the Lionsgate release's domestic total to $77 million and more than $132 million globally. Not bad for an original musical that hit theaters without the benefit of being based on a beloved Broadway show. The holiday weekend wasn't as kind to a flood of new wide releases and expansions. Paramount's "Monster Trucks" collapsed at the box office; the $125 million family film eked out a meagre $13.4 million over the four-day long weekend. The studio had already ripped off the bandage. Last year, it took an $115 million write-down on "Monster Trucks" months before it even hit theaters. Ben Affleck didn't have much to celebrate. The Oscar-winner was left licking his wounds after audiences rejected "Live By Night," his expensive passion project. The $65 million drama was inert, expanding to four theaters to 2,822 locations and only managing to make $6.1 million in the process. Affleck directed, wrote, produced and starred in the film about a Florida rum runner, with Warner Bros. getting the check. What audience there was for "Live by Night" was older, with sixty nine percent of opening weekend ticket buyers clocking in over the age of 35. Open Road's "Sleepless" didn't generate much enthusiasm from audiences. The action-thriller stars Jamie Foxx as a morally compromised cop. It made a lackluster $9.9 million, but the studio says it was able to cover its production costs entirely by selling distribution rights to foreign territories. It says "Sleepless" will be profitable. In this box office pileup, STX's "The Bye Bye Man" was somehow able to withstand the carnage. The low-budget horror film about a group of college students fending off a supernatural force rounded out the top five, earning a healthy $15.3 million, well above projections that had it opening to $10 million. It cost less than $8 million to produce. Holdovers "Sing" and "Rogue One: A Star Wars Story" took second and fourth place, respectively. "Sing," an animated film about a talent competition for animals, earned $19.2 million, pushing its North American gross to $238.4 million. "Rogue One" added $17.1 million to its $502.2 million domestic haul. It is now the top-grossing domestic release of 2016. Heading into the weekend, most analysts expected CBS Films and Lionsgate's "Patriots Day" to make more of an impression. Reviewers have praised the story of the Boston Marathon Bombing for its intensity and for director Peter Berg's attention to detail. It did well in limited release. However, the film earned $13.6 million after moving from seven theaters to 3,120 locations. That's below estimates that had the film expanding to as much as $18 million. Audiences gave the film a rare A+ CinemaScore, so that could help it regain its stride in the weeks ahead. Mark Wahlberg, John Goodman, and Kevin Bacon star in the film. Then there's "Silence," a decades-in-the-making religious drama from Martin Scorsese that follows a pair of priests as they search for their mentor in feudal Japan. The film is a highly personal project for Scorsese and another one of his explorations of the limits and power of faith, following in the footsteps of "The Last Temptation of Christ" and "Kundun." This one appears to be too esoteric for mainstream audiences. "Silence" expanded from 51 theaters to 747 locations, earning $2.4 million for the long weekend. The $50 million film was financed independently. Paramount is distributing the picture.